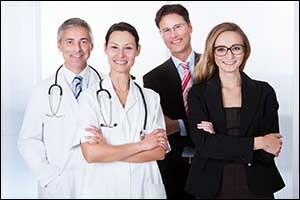 Medical Equipment Service Contract: Biomedical Sales & Service - Stat Bio-Medical Sales & Service, LLC. Both the healthcare industry and government regulations require medical practices, clinics, and hospitals to ensure that all biomedical equipment used is working accurately and effectively for the health and safety of all patients, staff, and visitors. Biomedical service companies like Stat Bio-Medical Sales & Service offer clients a wide range of services that they can use to their advantage. A medical equipment service contract can help busy facilities stay on top of equipment servicing for improved accuracy and safety, ensuring that they remain on top of all required regulations and standards. Our program for medical equipment testing, calibration, and servicing also comes with the use of our proprietary Client Access Portal, which helps administrators to check on the status of biomedical equipment. Our team is always looking for new ways to improve the services that we provide to our clients. Instead of settling for a standard “off the shelf” software system that was designed for other industries and services, we developed our own custom system known as the Client Access Portal. This system allows us to provide comprehensive data to our clients to help meet or exceed their expectations for medical sales and service. When you sign up for our medical equipment service contract, you can use the Client Access Portal to check on the status of servicing and repairs. If you are thinking about working with reputable biomedical service companies to create a service contract program for medical equipment inspection, testing, calibration, and servicing, make sure to contact Stat Bio-Medical Sales & Service. Our many years of training and experience, combined with certification in all of the top name brands for medical sales and service in the United States, make us a powerful resource for your practice, clinic, or hospital. There are many advantages associated with using a medical equipment service contract, which can help save you time and money while ensuring that your biomedical equipment is in top working order. Stat Bio-Medical Sales & Service provides top quality biomedical sales, repairs, inspections, testing, and valuable services to help your medical facility to continue providing a high level of care to your patients. When you work with a veteran owned and operated company, you can expect the same degree of hard work and determination that is typical of the men and women who serve in our nation’s armed forces. We take pride in the quality services that we provide to our clients and work hard to ensure that we are always there when and where you need us. Get a FREE estimate for our medical sales and service by calling toll-free 1-877-995-1117. We provide a wide range of comprehensive services that you would expect to receive with professional biomedical service companies, as well as options for medical equipment service contract programs and other vital services. Upholstery repair and restoration, surgical instrument sharpening, and calibration services are just some of the professional options available when you sign up for our program for medical equipment support and repair. Call today to learn more about all of the services available through Stat Bio-Medical Sales & Service.